I know that going to the dentist can be scary and stressful. Many of our patients come to us for the first time having had bad experiences in the past in other dental offices. Or they’ve listened to “horror stories” from their friends and coworkers. By the time they work up enough courage to come in for an appointment, they’re already in pain. Unfortunately, emergency dentistry is more expensive and oftentimes more uncomfortable than routine care. Please don’t wait until it hurts to call us. I promise you this: you will be greeted by warm and friendly people when you walk through my door. I will listen to your concerns and desires and together we will work out a plan to meet your needs. I want to build a long term relationship with you and your family. If you are fearful, we will discuss ways to make your visit more comfortable. If your finances are limited, we will find a way to spread treatment out over several months or years. Whatever has kept you from having regular dental care, you can be certain that postponing treatment is not the answer. I look forward to meeting you in person to discuss your specific needs. 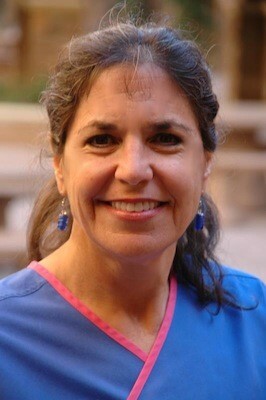 Dr. Blazer is a 1988 graduate of Baylor College of Dentistry. She is a member of the Arizona State Dental Association and the American Dental Association. She is also involved with the Spear and Seattle Study Clubs. She loves creating beautiful smiles through cosmetic dentistry, and her walls are lined with before-and-after photos of satisfied customers. She loves to laugh and have fun with her patients, and finds it especially rewarding to “win over” those fearful patients who never thought they’d say they like coming to our office! 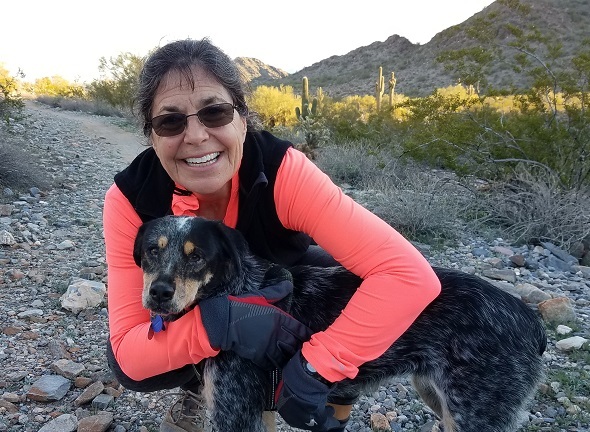 She has been a runner for over 30 years, and, while considerably slower now than her early days, still enjoys running with her best running buddy, her dog Luna. 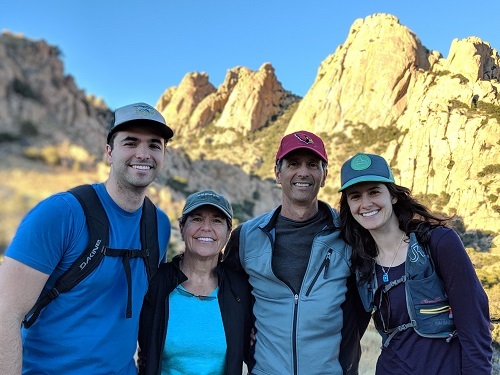 She also enjoys hiking in the Arizona desert or in the Colorado mountains while visiting with her son. She even has rock-climbed a couple of times with her daughter! When not enjoying the outdoors, she likes to read, play piano, and cook with her husband. They both love to cook Italian food-and their gnocchi is an oft requested dish. 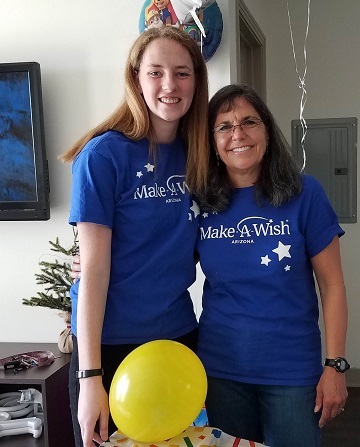 Dr. Marcia Blazer recently became a Wish-Granter with the Make-a-Wish Foundation, and has really enjoyed getting to work with her “Wish Kids”, their families, and her fellow wish granters. If you think you might be interested in becoming a Wish-Granter yourself, she’d be happy to tell you about it! Contact our office in Scottsdale, Arizona today to visit Dr. Blazer and her team!